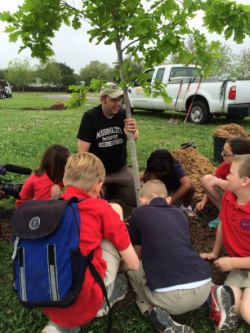 Missouri City Green celebrates Earth Day annually by planting a tree and providing educational programs for school children in Missouri City. Earth Day Celebrations are held in partnership with Missouri City Parks and Recreation, Missouri City Forester and local garden clubs. Learn more about 2014 Earth Day Celebration. 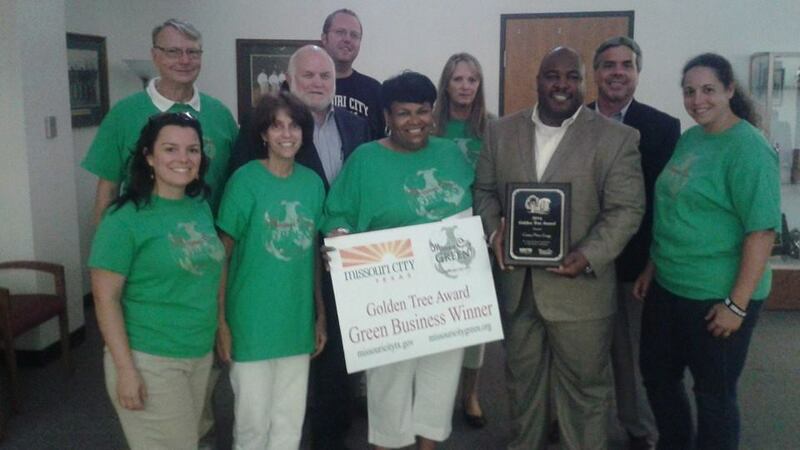 Missouri City Green has teamed up with Missouri City Forester/Horticulturist Paul Wierzbicki to recognize local businesses, both private and corporately owned, who make a difference in keeping Missouri City beautiful, clean and environmentally friendly. The award is presented quarterly. Missouri City Green continues to support the development of the Edible Arbor Trail along Oyster Creek by participating in tree planting activities on an ongoing basis. Learn more about the Edible Arbor Trail.